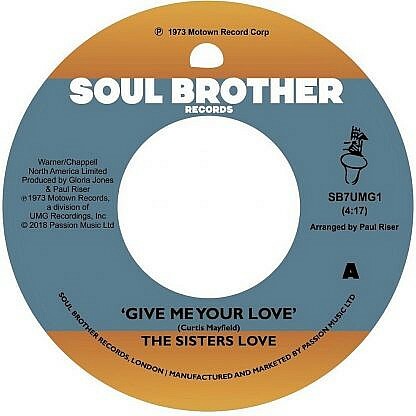 Soul Brother Records are delighted to present the first legal reissue of the Rare Groove classic ‘Give Me Your Love’ by The Sisters Love on a 45. Originally released as a B side on Motown’s Mowest label in 1973, this track has been in demand and played on various club scenes since the early 80’s and has maintained its popularity. Original copies now sell for £150 to £200 if you are lucky enough to find a clean copy. 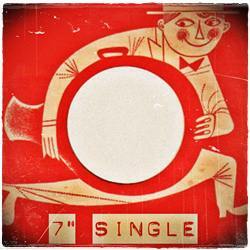 This is a fantastic slice of danceable Soul produced by Gloria Jones and Paul Riser. It was written by Curtis Mayfield whose own version appeared on the Superfly soundtrack. 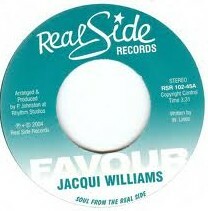 The track was sampled by Queen Latifah, Ruth Joy, Stereo MC’s and even Robbie Williams with Kyle Minogue on their song ‘Kids’, amongst others. 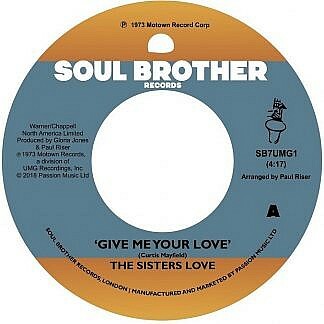 This is likely to be one of the most popular in Soul Brothers series of classic 45’s.